Friday (July 20) marks the one-year anniversary of Linkin Park singer Chester Bennington passing away. With memories of his passing still fresh in Linkin Park fans’ minds, many are wondering whether Linkin Park will continue. In a new interview with France’s United Rock Nations Radio, Linkin Park member Mike Shinoda says he’s “open” to the thought of the band performing live again. Bennington passed away by suicide on July 20, 2017. After his passing, the surviving band members of Linkin Park have performed one concert together, a special tribute show in October of 2017 featuring a range of musical guests. 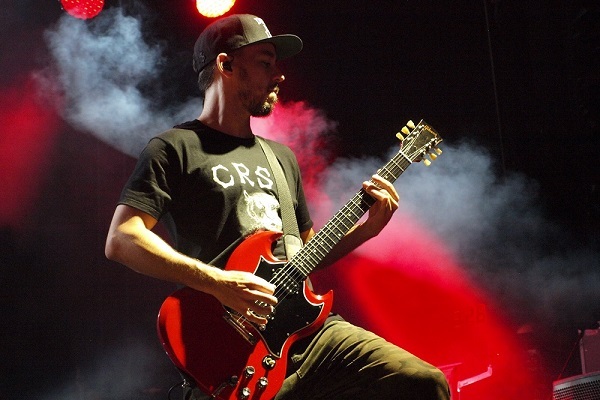 Shinoda recently released his debut solo album, “Post Traumatic,” in June. The album was written about his life and experience coping with Bennington’s death.